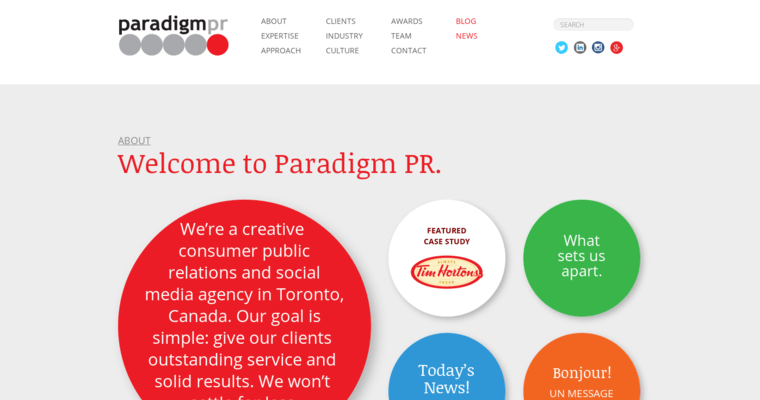 Paradigm PR is a public relations company that operates in the media industry. 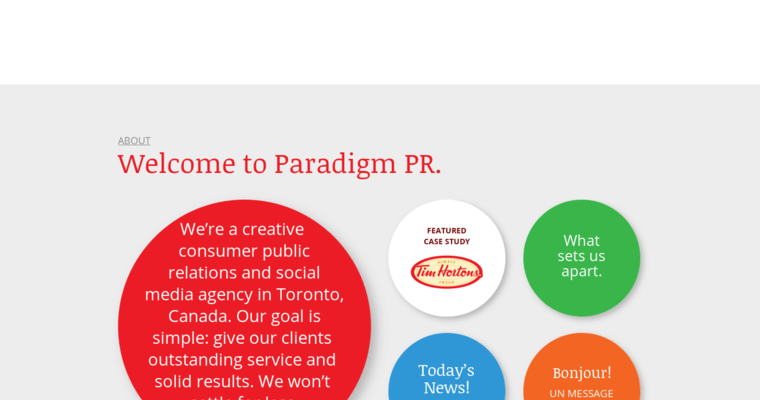 Paradigm is based out of Toronto, Canada and is simply a creative consumer public relations agency that has an expertise in dealing with the media, particularly social media. Getting solid and reliable results for clients, and in turn the consumers is the ultimate goal for the company because making a name for a brand is what will help push them past all of the competition. Social media is a major field of expertise for the workers at the company, because social media makes everything readily available for consumers. Social media and public relations go hand-in-hand and having good development with insight in the consumer mind will help people connect with their audiences in the most important way. Paradigm PR has worked with clients such as Tim Horton's, TD, Under Armour, MGA Entertainment, Banana Boat and Toys R'Us.